In a bit to grasp customers Vodafone the 2nd largest cellular service operator in India will bring unique rather first of a kind service named as WebBox for all its customer in India. As per our sources the service is currently in test phase in Kerala circle and in coming days this unique state of art technology is soon going to change the way we use our favorite idiot box. Our very own televisions is soon going to get transformed into a high fi cool gadget and all thanks to Vodafone and their small piece of technology. Named as Vodafone Webbox, this is sure make our televisions sets a nano computer. 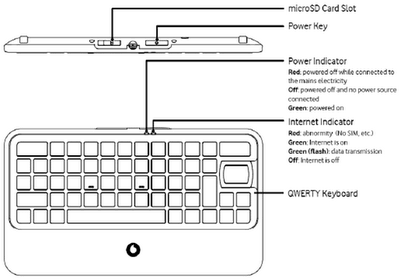 An innovative internet-enabled keyboard that turns a regular TV into an “internet portal”. 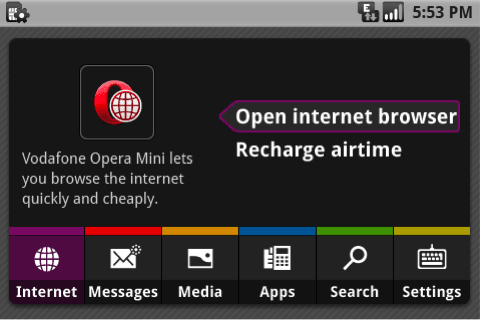 Vodafone Webbox packs the Opera Mini V5 browser together with support for SMS and email messaging, FM radio, photo gallery and a music player. The pricing factor is still unknown there is no official update from Vodafone as per our sources webbox would be priced between Rs5000 to Rs. 6500 . Now what else would you want. Just plug in the cables to the back of your tv and you are ready to jump into a whole new world of entertainment. And not only that you can also check all your e-mails, send and receive sms. 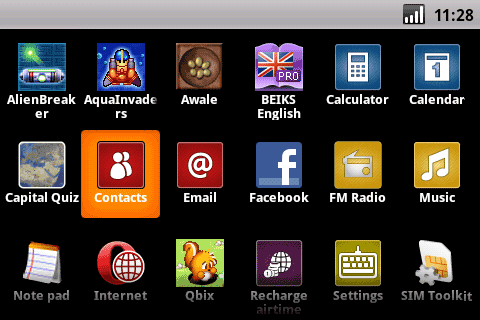 It works on Android platform 2.1 which makes easy customization and works on 2.5G network. First device of its kind. Brings full internet access to your existing TV set. 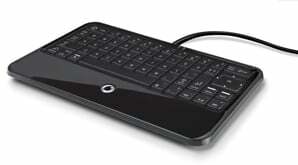 No set-up required, the plug and play keyboard converts any standard television into an Internet surfing device. Easy access to Internet with Opera Mini browser. Check latest updates from your friends on Facebook. Search with Google search and browse your favorite websites. A complete entertainment device too with pre-loaded games, in-built FM Radio. Listen to music, watch videos and check out pictures with great ease from your memory card. TV output: connectivity box mixes TV out with TV antenna signal, directly fed into antenna-in of TV, integrated cable (audio, video, power, FM antenna).